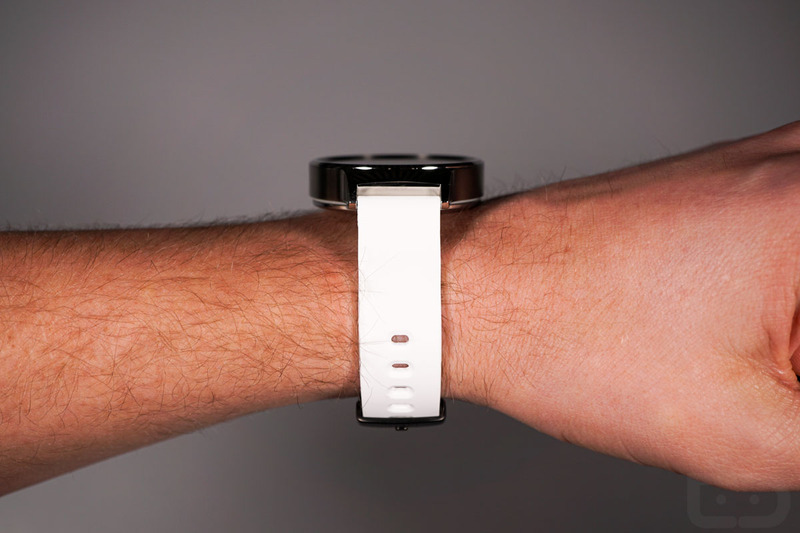 Google introduced MODE watch bands for Android Wear today, as an attempt to make swapping watch bands easier than ever on not only your smartwatch, but your regular timepiece as well. 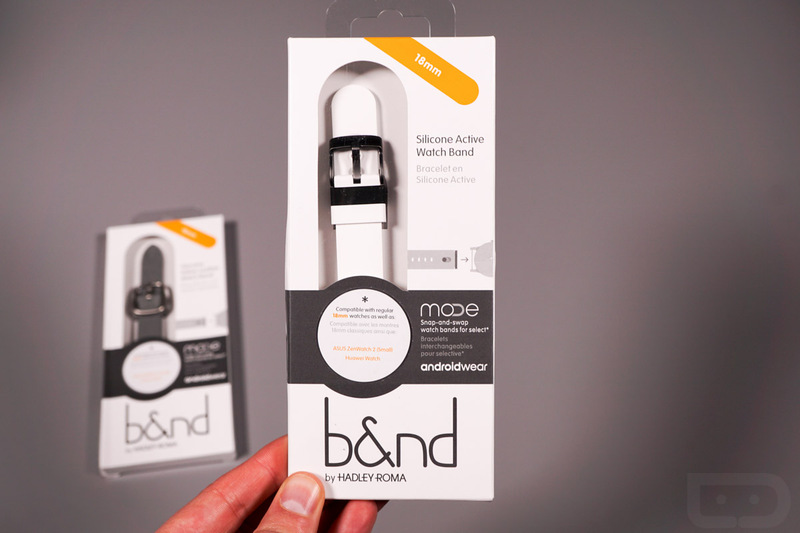 MODE watch bands include a snap-and-go mechanism that allows you to swap styles in a matter of seconds, without the need for a tool or awkward sideways slide. 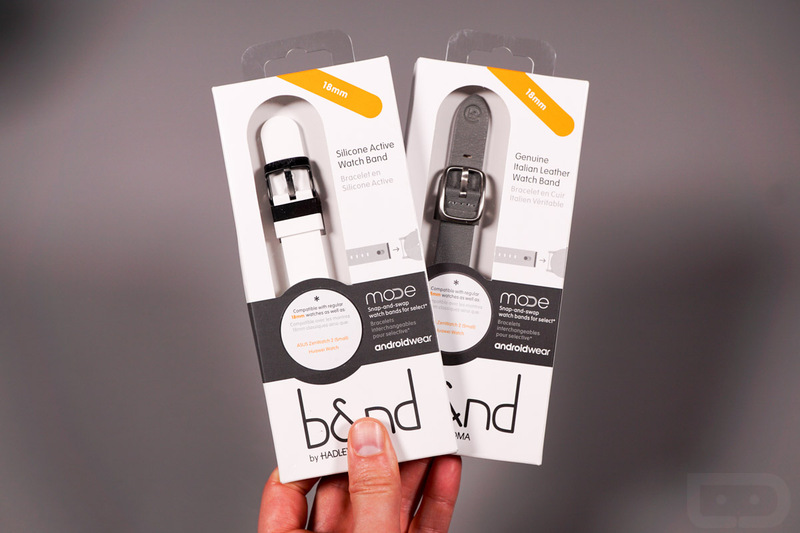 The MODE bands will come in either silicone ($49.99) or leather ($59.99), with each having a variety of color and size options. In total, there are 16 color variations and 4 sizes (16mm, 18mm, 20mm, and 22mm) made by Hadley Roma. How do they work? The idea here is about as straight forward as it gets. 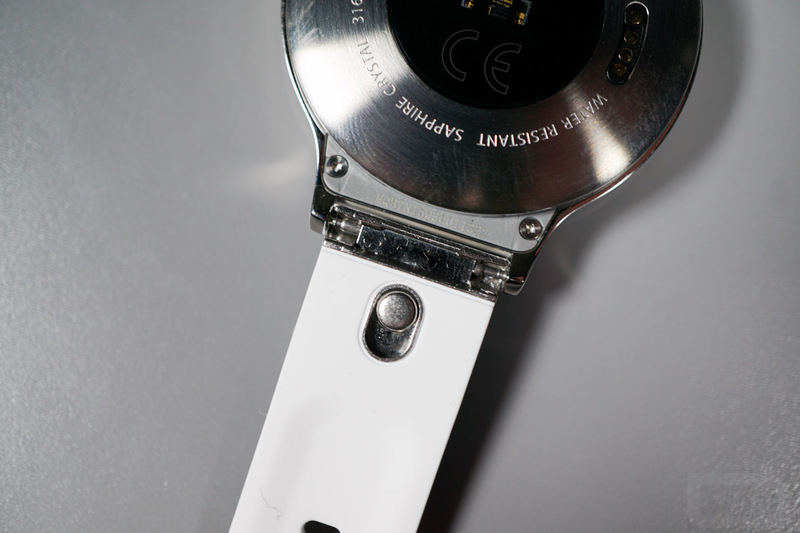 On the under side of MODE bands, you have a hook, of sorts, that wraps over the top of a watch’s spring bar. 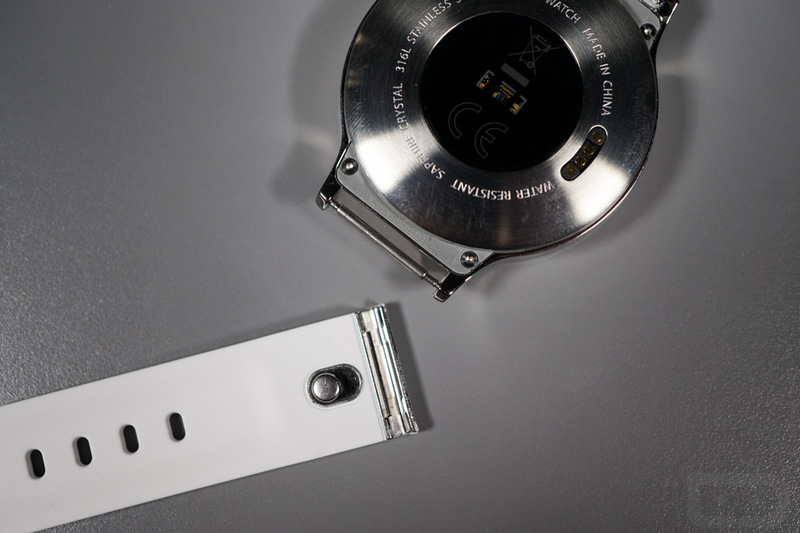 Once in place, a metal slider is pushed to close off and secure the band in place. If that doesn’t make sense, here are a couple of images that are pretty self explanatory. See it? Hook the band over a spring bar and then push the slider to close it off. It’s that simple. 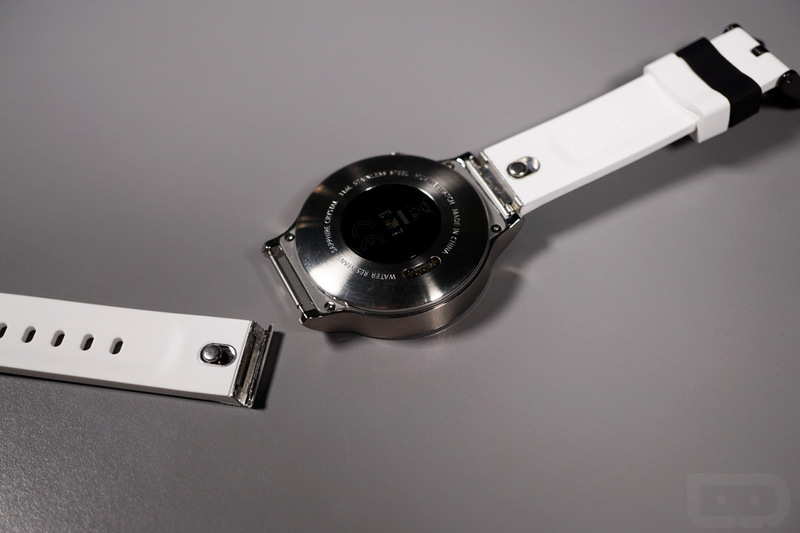 With the purchase of a MODE watch band, you also get a set of spring bars that better fit with the bands and a spring bar tool. So there is a bit of setup required initially, just to remove your old watch band, spring bars, and get the new spring bars in place, but once you have done that, you can get on with your swapping without hesitation. Google says that other OEMs can adopt the MODE snap-and-go mechanism, as long as they source it from Google authorized vendors, pass a reliability test, and follow their brand guidelines. If anyone is interested, that could mean watch bands from luxury good makers to indie watch band start-ups or smartphone OEMs. 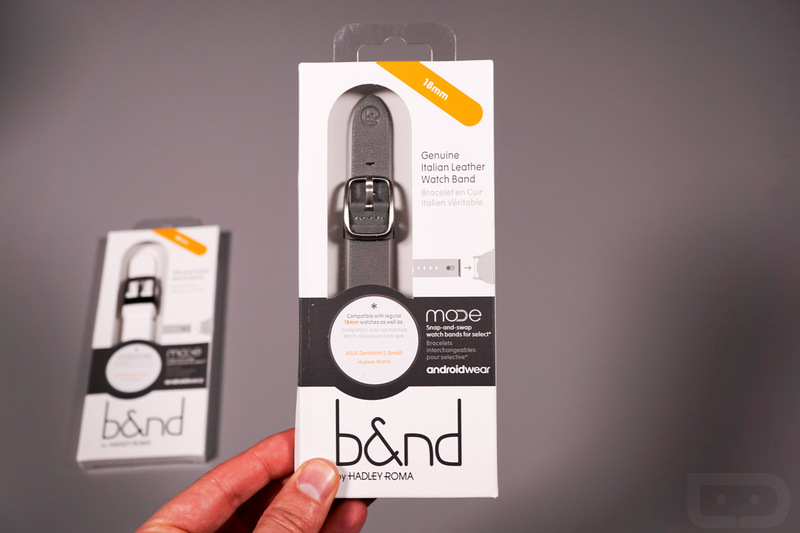 You can buy MODE watch bands today from the Google Store, Amazon, and Best Buy.